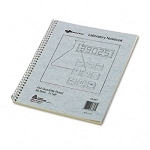 Ideal for lab work and documenting results in math, science and more. 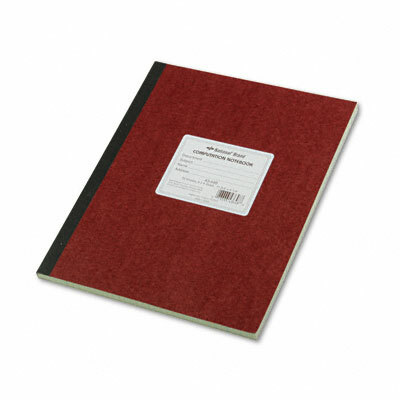 Black Tape covered perfect binding Computation Notebook. 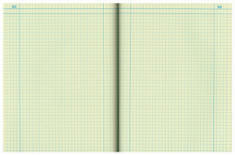 Flexible brown cover, green Eye-Ease® paper, numbered pages (1-156) ,75 sheets, ruling 4 x 4 quad with heavy rules for the Top, Left and Right margins. Size: 11-3/4" x 9-1/4". Label on front for Department, Subject, Name and Address.